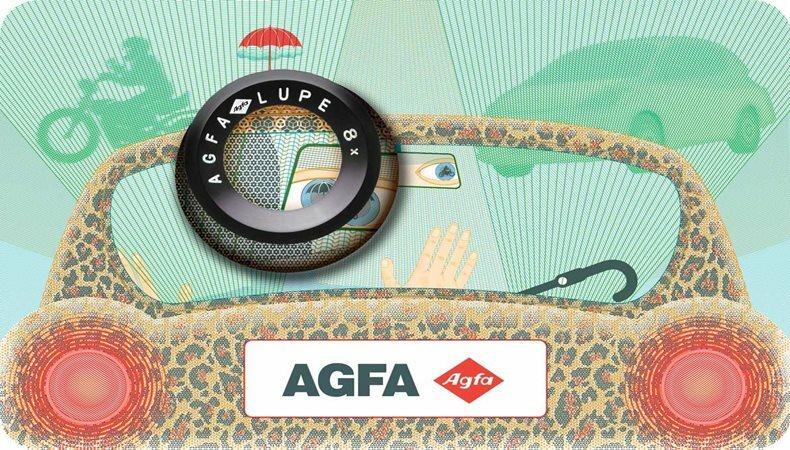 Agfa Graphaics introduces the fourth version of Arziro Design. Arziro Design is a completed and dedicated ecosystem for the general security printing market. The Arziro Design update features numerous new functions and two new features: a comprehensive guilloche generator and for validated security printers and government entities, rainbow colouring capabilities to stop forgeries and counterfeiting. Previous versions of the Arziro Design featured a guilloche library; however, this version also includes a guilloche generator. This generator enables the user to create guilloches that can be combined with other tools to create complex, state of the art security design in Adobe Illustrator on both Mac and PC. The software is very user friendly and provides endless possibilities. Andy Grant, the Global Head of Software at Agfa Graphics explains: “counterfeiters are always looking for new ways to forge security prints. Reliable tools are required to create efficient security documents. Our tools and solutions guarantee efficient security printing and counteract the methods used by forgers to clone, falsify and illicit security documents. Rainbow or Iris Printing is a rainbow colouring process that is used in security printing to avoid colour-accurate reproduction of the document by photocopiers or scanners. It protects security documents against colour separation or copying by subtly merging colours into each other which results in a gradual colour change. This new rainbow feature in the Arziro Design enables security designers to view the rainbow inks whilst creating the document. They will be able to create inkjet proofs with the rainbow print visible and will be able to generate the correct output for print. Arziro Design has been designed for the general security market and is very user-friendly. Unlike similar solutions, Arziro is a plug-in for Adobe Illustrator and doesn’t run in a proprietary environment. It includes additional functionality in multiple modules that will increase the productivity for the creation of custom security designs. Arziro Design is part of the Arziro product family which is a complete solution for the general security market. The offering includes Arziro Authenticate for authentication, track and trace and grey market detection via a smartphone and Arziro Production, a prepress workflow solution adapted for the needs of the security market.